With rooms featuring a sea view over Taormina, the Jonic Hotel Mazzarò awaits you in the relaxing setting of an elegant art nouveau villa, just a short walk from the cable car that connects to the town’s historic center, and only a short stroll from the Bay of Isola Bella. 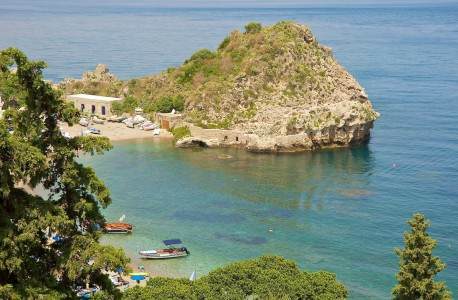 Among 3 star hotels in Taormina, the Jonic Hotel Mazzarò enjoys a unique location, sea front hotel at the center of the Bay of Mazzarò, one of Sicily’s most fascinating and prestigious coastlines. The Jonic Hotel Mazzarò enjoys an enviable location: just thirty meters from the cable car for the center of Taormina, facing onto the Bay of Mazzarò, and only a few minutes from Isola Bella!